The Sacred Valley in Peru has long been treated as an acclimatization stopover, a place to adjust to the altitude in preparation for Machu Picchu. But the region—a series of agrarian communities that still maintain indigenous Incan traditions—is well worth a visit on its own, offering both cultural immersion and outdoor adventure. In just a few days in the Sacred Valley, travelers can visit the fascinating ruins of Maras and Moray, participate in a healing ceremony with a local shaman, paddle-board in Yanacocha Lake, mountain bike through Urubamba farmland, visit a traditional weaving village and climb Peru’s only via ferrata route. 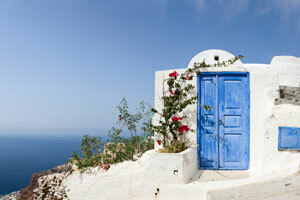 The region is home to five top properties, and each is best for a particular type of traveler. 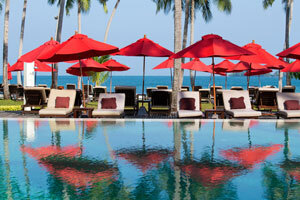 Read on to discover which hotel is right for you. Contact Indagare for assistance planning a trip to Peru. Overview: A whimsical property with a focus on social impact and giving back, Sol y Luna is a colorful garden oasis in the heart of the Sacred Valley, blending Relais & Chateaux elegance with a cozy warmth. Best For: Couples seeking intimate, freestanding accommodations with Peruvian touches, warm service and a home-away-from-home feel. Room to Book: While less spacious, the circular Superior Casitas are ultra-private and decorated with Peruvian folk art. 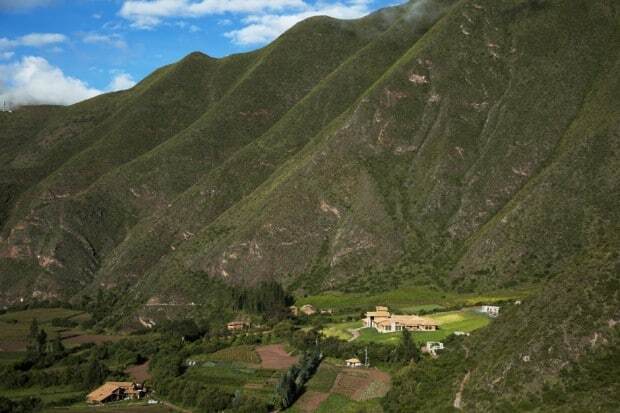 The sweeping views overlook the Sacred Valley’s rolling hills and mountains. Favorite Activities: Paragliding with the owner is a special treat, as is the on-property Paso Horse Show performed daily during lunchtime. Guests are also welcome to take a few hours to visit Sol y Luna’s local school, a passion project of the owner. Keep in Mind: The property is not well-suited to families with young children, as it’s only possible to arrange for connecting casitas through an external hall. Overview: Housed on a ten-acre organic plantation, Inkaterra Hacienda Urubamba is a hacienda-style property with freestanding stone and stucco casitas tucked into the hills of Huayocarri. Here, the intersection between nature and man is strong, and the farm-to-table ethos transcends the entire property, from the spa’s herb garden to the on-site llamas. Best For: Travelers looking for an immersive, high-touch Sacred Valley experience, with all that this special landscape has to offer and imbued with small-town charm and serenity. Room to Book: Perched on the hillside and separated from the main hacienda, the Urubamba Casitas are our favorite rooms. They’re spacious, with an outdoor sitting area and panoramic views overlooking the mountains. Indagare Tip: Head out for some ideal sunset viewing around dusk or for late-night stargazing (including a possible glimpse of the Milky Way). Favorite Activities: Bird watchers will be drawn to the early-morning birding treks, and budding naturalists will enjoy a visit to the property’s ecological farm. The spa offers an organic facial or massage with oils made from the spa’s herb garden. Keep in Mind: Given the peaceful nature of the property, families with young children may find the experience too unstructured and restrictive. 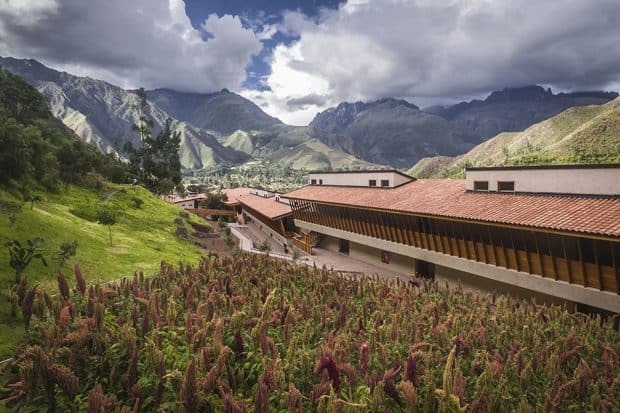 Overview: With 128 rooms, Tambo del Inka is both the largest true luxury property in the Sacred Valley and the most resort-like, promising all the amenities expected at a five-star property. 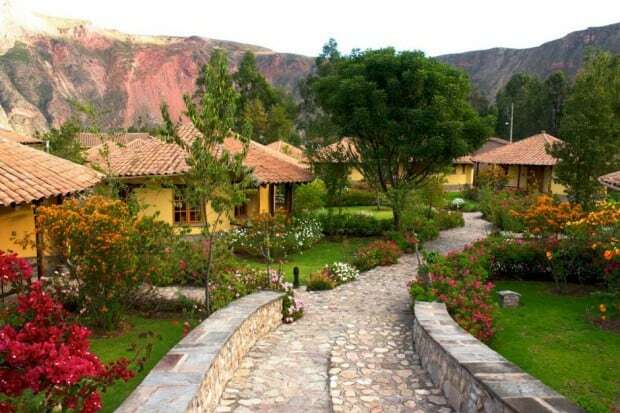 Best For: Multi-generational families and travelers with young children will appreciate Tambo del Inka’s room offerings, outdoor pool, gargantuan breakfast buffet and child-friendly ambience. This is not the type of property where guests need to worry about dressing for dinner, breaking priceless antiques or losing track of a little one. Room to Book: We recommend neighboring Deluxe Terrace Rooms for families with teens and tweens. There’s a small outdoor sitting area to enjoy the rippling sounds of the Urubamba River, and the rooms sit in close proximity to each other. Favorite Activities: Kids will love splashing around in the indoor-outdoor pool, and active adults will enjoy the 1.5-mile running loop around the property. There’s also an indoor game room with an Xbox, pool table and bean bag chairs to distract rambunctious little ones for an hour or two. Keep in Mind: The sense of place is somewhat overpowered by the large-scale feel of the property and its burgeoning popularity among international tourism groups. Overview: An all-inclusive adventure property just a stone’s throw from Maras, Moray, Chinchero and more, Explora Sacred Valley is like an upscale adult summer camp. With its modern, minimal décor, Explora will feel familiar to devotees of the brand, living up to the expectations set by its beloved properties in Atacama and Patagonia. Best For: Hikers, bikers, SUP-ers and all adventurers in between. Explora Sacred Valley brings the region to life each day, with rotating itineraries of activity and exploration. Featuring simple yet comfortable accommodations, it’s more about the staff and the day-to-day excursions than the hotel itself. 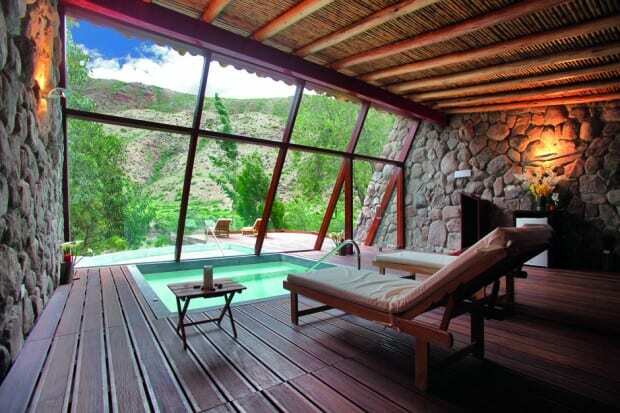 Room to Book: The Suite Valle Sagrado is at its best in springtime, with the cornfields in full bloom. All rooms are appointed in the same manner, although the six suites offer a little extra room to laze about (575 sq. ft. versus 430 sq. ft.). For those who don’t require the extra space, a Standard Room will be more than enough. Favorite Activities: Explora sells itself as an adventure company above all else, so you can’t go wrong joining any of the lodge’s scheduled shared activities. While they can be privatized at an additional cost, part of Explora’s charm is its ability to bring guests together. It also makes Explora a good base for the solo traveler looking to make friends. Keep in Mind: Explora can feel slightly remote and is located about 15 minutes from the nearest main road. 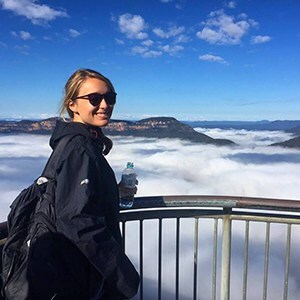 Additionally, with the property’s flexible, day-of activity planning, it’s not an ideal resting place for travelers who like to schedule excursions in advance. Overview: Perched along the Urubamba River, Belmond Hotel Rio Sagrado is just a five-minute walk from Urubamba Town but feels miles away from the bustle of local village life. 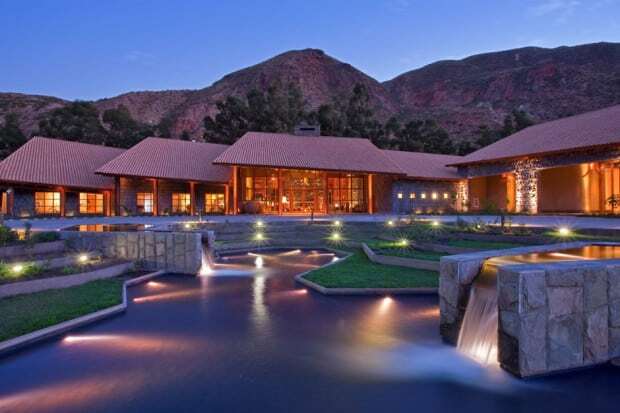 Modeled after an authentic Andean township, the property feels more like a private community than a hotel. Best For: Travelers planning to explore Peru in its entirety may enjoy hopping from one Belmond property to another, as there’s a Belmond base in nearly every major tourist hub, offering ease and consistency. Room to Book: The Garden Junior Suites each have their own terrace, a spacious marble bathroom and the property’s best views overlooking the Urubamba River. Favorite Activities: Part of the Belmond’s appeal is its direct access to the Hiram Bingham Train. With a station located on-property from January to April, guests can easily travel from the Sacred Valley to Machu Picchu in style. Keep in Mind: The property is in need of a healthy refurbishment, and rooms feel slightly uninspired, compared to the rest of the region.